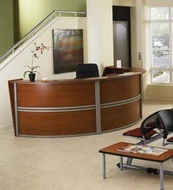 When you're considering reception furniture, why not go with the industry leaders? 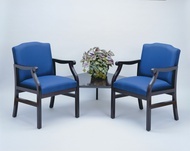 Lesro Reception Furniture is the perfect investment... it's tailored for a stunning first impression and engineered with strength for long-life performance. Also check out our OFM Reception Stations. These feature state of the art designs yet moderately priced for any facility!